Yvette Cooper’s Bill has passed by one vote late tonight in the House of Commons and is expected to be rushed through the House of Lords too in a last minute bid to ensure the UK does not crash out of the EU by mistake with no deal. The draft legislation tabled by Labour MP Yvette Cooper calls on the Prime Minister to table a motion seeking MPs’ approval for an extension to the Article 50 process beyond April 12 to a date of her choosing. MPs passed the European Union (Withdrawal) (No 5) Bill at third reading by the narrowest of margins of 313 votes to 312. 14 Conservative MPs voted for the measure which angered their Brexiteer colleagues. With time running out before the deadline set by the EU, the Bill is set to be rushed through the House of Lords, possibly as early as Thursday. Talks between Theresa May and the leader of the Labour Party appear to have not got very far. In other breaking Brexit news, the Guardian newspaper has revealed that £1 million in Facebook ads purporting to be grassroots campaigns for a No-Deal Brexit are being covertly coordinated by staff from Lynton Crosby’s lobbying firm. The Australian election specialist has worked on Conservative Campaigns, including Boris Johnson’s mayoral one, and is said to be behind Johnson’s bid to lead the Tory Party as Prime Minister. The secretive Facebook campaign seems to have had an effect as in a YouGov poll published tonight, the option of leaving the EU with no deal appears to be more popular than staying in the EU in regions of England outside the capital. Prime Minister Theresa May was rounded on all day by her Conservative colleagues for inviting the Leader of the Opposition Jeremy Corbyn for talks on a compromise Brexit deal that could allow Brexit to pass through parliament with a majority of MPs supporting it. 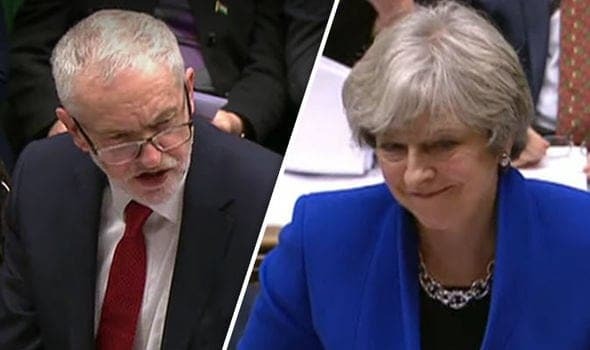 Tory backbencher Dr Caroline Johnson told MPs that Theresa May talking to Jeremy Corbyn risks “ushering a Marxist antisemite-lead government” – and asked the PM if crashing out of the EU with a Brexit with No Deal for continuing trade isn’t “a lower risk” for the country? And two Tory ministers even resigned over Theresa May talking to the Leader of the Opposition to find a Brexit a majority of MPs can agree to. Nigel Adams, a government whip and under-secretary of state for Wales, quit saying the Prime Minister was trying to “cook up a deal with a Marxist”. But it appears their resignations may have been futile as early indications are that May refused to budge from her Brexit deal for tonight’s talks between the party leaders to get very far. Earlier in the evening, MPs were tied today as an amendment by Hillary Benn MP on whether to have another round of indicative votes on Brexit for MPs to find a way through for Brexit was tied at 310 votes for, 310 against. 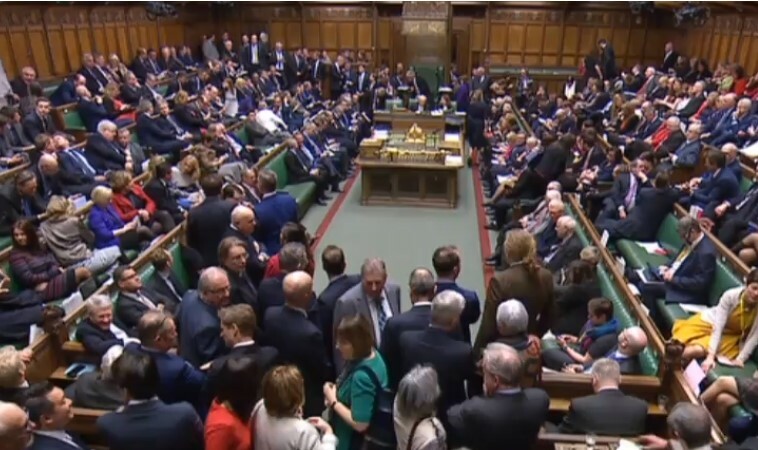 House of Commons Speaker John Bercow used a casting vote after the first House of Commons tie in 26 years of politics to block the backbench motion. Bercow said that in accordance with precedence, and with the principle that important votes should not be taken except by a majority, he would vote against the motion. Two rounds of voting on indicative votes on Brexit options have already failed to produce a majority for an alternative to Theresa May’s deal with the EU, though a People’s Vote and Customs Union had more support. Most MPs voted against a No-Deal Bresit too. But that came a step closer today as MPs were tied over whether parliament shoudl make time for a compromise set of votes on Monday again, which now won’t happen. Though, paradoxically, a bill on Wednesday that aims to take a no-deal Brexit off the table, and could pass the House of Commons in one day. I voted remain simply because England is a dirty and corrupt country that cannot be trusted to Govern itself. Also Yvette Cooper Balls was the first minister to sign off the unlawful and illegal ESA. Since over half a million vulnerable disabled have been forced to kill themselves! Massive cover up. She needs to be executed under 1688 bill of rights and Magna Carta. The SIS Secret Intelligence Services paper the Daily Mail allowed my comment but you at TLE didn’t. Wow.